The list below contains information on some of the changes to veterans’ GI bill benefits which are part of the "Forever GI Bill®”. Also, be aware that different portions of the Forever GI Bill have different starting dates. Individuals who first use Post-9/11 GI Bill program on or after January 1, 2018 will receive monthly housing allowance based on DoD’s reduced basic housing allowance (BAH) for monthly housing rates. Those that began using benefits prior to January 1, 2018 will continue to receive a higher monthly housing rate based in the non-adjusted BAH rates. The new law decreases the amount of entitlement that new eligible individuals will receive under the Survivors’ and Dependents’ Educational Assistance (DEA) program from 45 months to 36 months. This change applies to individuals who first enroll in programs of education after August 1, 2018. Individuals who first enrolled in a program of education prior to August 1, 2018, would still qualify for a maximum of 45 months of entitlement. This law also increases the amount of educational assistance payable for pursuit of institutional courses and institutional courses under the Survivors' and Dependents' Educational Assistance Program. An eligible person will be entitled to a monthly allowance of $1,224 for full-time coursework, $967 for three-quarter time, and $710 for half-time coursework. The increases would be effective October 1, 2018. VA will provide up to nine months of additional Post-9/11 GI Bill benefits to certain eligible individuals. VA can pay each eligible individual the benefits for up to nine additional months, but the total may not exceed $30,000. VA will not be authorized to issue any Yellow Ribbon payments. These additional benefits cannot be transferred to dependents. This expansion becomes effective on August 1, 2019. The law authorizes service by Guard and Reserve members under 10 U.S.C 12304a and 12304b to receive Post-9/11 GI Bill benefits. An individual entitled to educational assistance as a result of this section may use such entitlement to pursue a course of education beginning on or after August 1, 2018. When a Governor requests Federal assistance in responding to a major disaster or emergency (as those terms are defined in section 102 of the Robert T. Stafford Disaster Relief and Emergency Assistance Act (42 U.S.C. 5122)), the Secretary of Defense may, without the consent of the member affected, order any unit, and any member not assigned to a unit organized to serve as a unit, of the Army Reserve, Navy Reserve, Marine Corps Reserve, and Air Force Reserve to active duty for a continuous period of not more than 120 days to respond to the Governor’s request. Members ordered to active duty under this section shall not be counted in computing authorized strength of members on active duty or members in grade under this title or any other law. 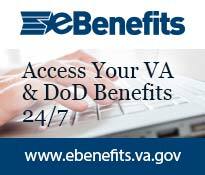 Want to understand your benefits and access your VA information? Manage VA health records, appointments, prescriptions, etc. Need to find housing or food? South Orange County Food Banks can help!